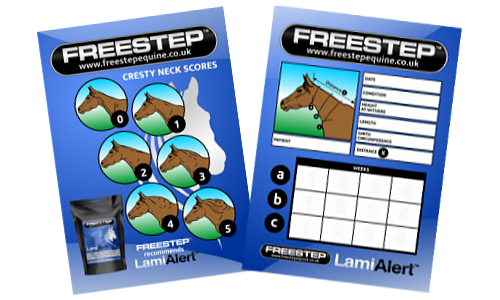 Get your FREESTEP Cresty neck Scoresheet with our compliments. Let’s face it some horses (to put it politely) are hungry all the time and will do ANYTHING for food, break down fences, let themselves into feed rooms and jump into the greener field next door. 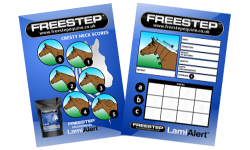 Freestep strongly recommends the use of a paradise paddock grazing system for ponies with low grade laminitis, EMS or IR. Why plant based phytotherapy/medicine cannot be proven by current scientific methods meaning a list of references and peer based reviews from scientific journals is unlikely in our times. Leptin to laminitis…… from friend to foe?? Ten Tips for the pasture management of horses prone to laminitis. Many calmers contain herbs that may not comply with the rules of the FEI and the BSPS so it is always important to check with the manufacturers and the relevant governing bodies. Superfix contains a range of indigenous plant compounds readily available to horses grazing in a natural environment.